Well, I am not sure who's canoe this is, but it was there, and it was perfectly located to include in my composition. 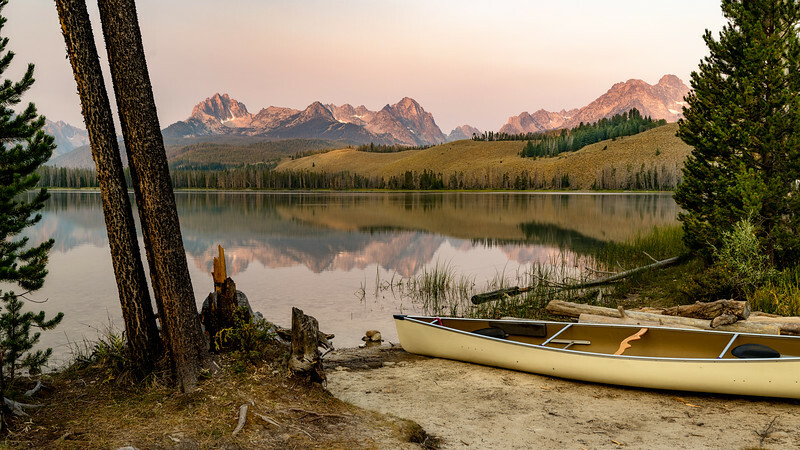 I ran across this boat during a sunrise shoot on Little Redfish Lake. It was super smoky so it was good to find a strong foreground element to focus on. While the smoke was annoying, it does create a nice color cast for the scene.